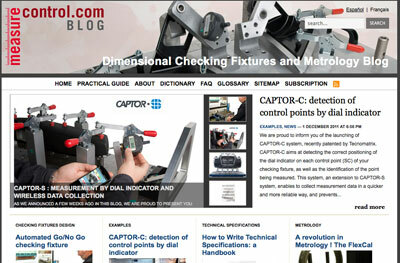 Since 2006, Tecnomatrix blog MeasureControl is a leading source of information about checking fixtures, metrology, quality control in the automotive sector, applied machine vision and many more subjects. Make sure you also visit the dictionary of technical terms for the automotive sector as well as the checking fixtures and metrology glossary. MeasureControl is available in English, Spanish and French.